The Da-Lite Lancaster 25" Adjustable Floor Lectern (Medium Oak) design combines simple rectilinear lines with handsome bull nose styling as well an all hand-rubbed medium oak veneer for a deep, rich appearance that compliments any presentation venue. 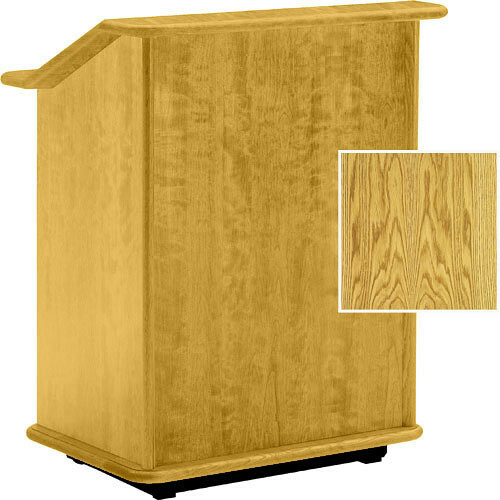 This model lectern is adjustable from 48 to 56 inches in height. Adjusting the height lets the lectern accommodate the best and most comfortable height for the speaker.